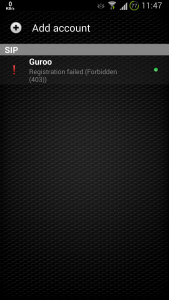 When I am trying to login to my Guroo number on the app, I am getting the error message “403 forbidden”, what could be the problem? 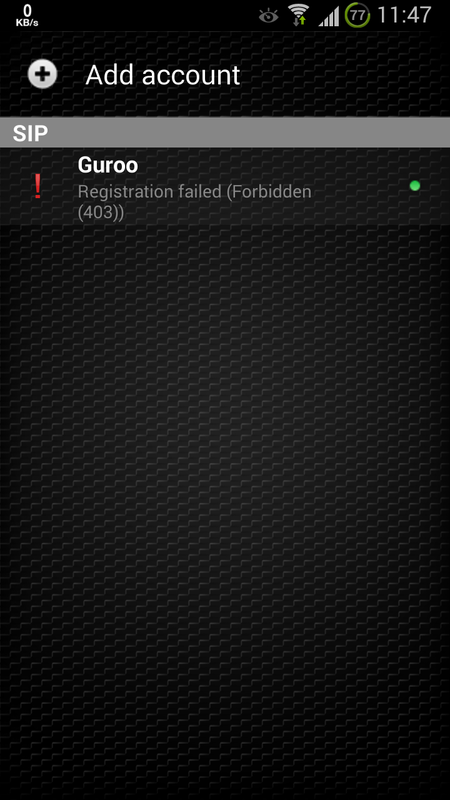 403 forbidden is an error that comes out when you use a wrong Guroo number and password combination. Is your username correct? Your username on the app should be your full Guroo Number e.g. +2638644911111. Make sure you include the ‘+263’ part and no extra spaces before and after the number. Enter a correct password: Check your email for your Guroo Password. Alternatively you can change your password on the User Portal and set it accordingly on the app. Authentication username: If you are using Zoiper, Join or Bria on the settings you must ensure your Authentication username is set. Its in the format “+2638644911111@africom.com”, no space before or after the number. For a guidance below is a screenshot of a well configured number.